UPDATE: For those specifically looking to discuss the Flex and Mini -- especially Canon interference issues and workarounds -- the best place I have found is on the PW Flickr Group. For those of you interested the new PW Mini TT1 and Flex TT5 units, some updates on the Canon range issues -- and new features -- inside. First things first, there have been reports of interference shortening the working range with the new PWs and some Canon model flashes. It was surprising to me, as I did not experience any first-hand range issues in my testing of the units I had earlier this year. But I shoot Nikon, of course. The range reports that were coming in were certainly enough to get PW's attention. 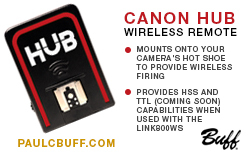 And when they looked into them they found that the Canon flashes themselves were putting out some RF interference that shortened the range of the FlexTT5 and MiniTT1 units -- and significantly, in some cases. "We should have just bought the the flashes off of eBay," joked PW's Jim Clark, noting that the noise range was all over the map depending not only on the flash model, but how long ago it was manufactured. This radio frequency interference does serve to shorten the range of wireless TTL synching. But since the problems are coming from the flashes themselves, it is now the flashes that get the fix. 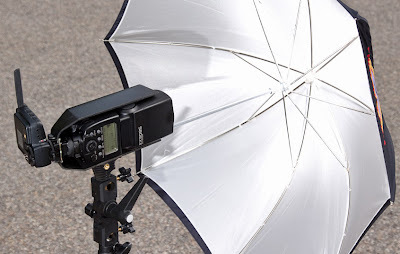 Rob Galbraith has a very detailed post on his homebrew fix(es) for noisy flashes. PW themselves have just annouced an "AC7 Shield" which should greatly extend your range if you happen to have a noisy flash. 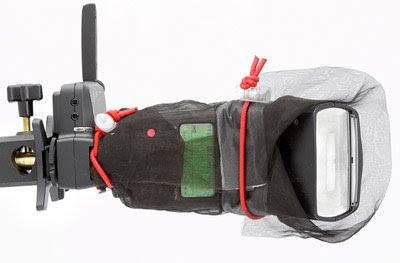 It also doubles as a flash umbrella adapter which gets the flash almost exactly onto the axis of the umbrella shaft. 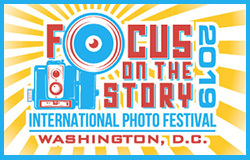 They are sending them out for free to Canon users who are experiencing problems with interference from Canon flashes. Nikon flashes (actually, all other brands of flashes) do not leak RF as do the Canons and thus are not affected. Long story short, if your Canon flash is spitting out RF noise, shielding it should bring dramatic improvements in wireless TTL range. PW tests are showing new ranges of several times the distance of unshielded flashes, all other things being equal. Rob put it through its paces, and wrote a very detailed review, here. 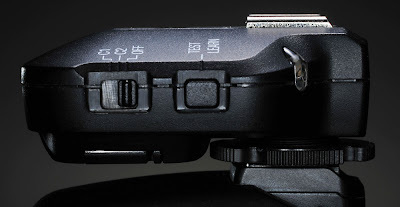 For the Nikon shooters, RF noise issues are reportedly nonexistent with the Nikon speedlights. And all seem to get along well with the upcoming Nikon PW models, which are due out soon and available for preorder. You have to remember that these things are basically black-box Trojan Horses that allow PW to hack (in a good way) into all sorts of features and abilities of the various flash platforms. Example: One of the more interesting new features is a little timing hack that shortens the length of the pulses that fire in FP mode. This reduces the amount of energy used by the flash in FP mode, thus giving Flex/Mini users shorter recycle times and longer battery life. FP photogs who are used to waiting for the recharge at high shutter speeds (thus, more wasted flash energy) just got a little bit of their life back. Also, due to the wide range of max sync speeds and shutter delays of various models, some flashes are better suited to shift from HyperSync into FP sync at different shutter speeds. And PW has given control of that crossover point to the user. You can now choose at what point the remotes will toggle between HyperSync (increased max sync speed) and FP (hi-speed pulsed) sync. If you are hanging out in the grey area on your model, you might choose a different point to make the jump than staying with the previous 1/640th default. It important to note that anything I write here may well be out of date and eclipsed by the next firmware update. We will not be hitting every update but may set up some kind of an archive table for info or something like that. Especially with respect to the different microsecond delay settings for various camera and flash models for the HyperSync settings. Shortly after the Nikon-specific PWs are out, I'll put out a call for numbers and we'll set up a comprehensive table/matrix of settings. For instance, someone with a D3 and Profotos will have a totally different ideal sync offset than someone with a 5DII and a set of AlienBees. This is important information, because it buys you the very best sync speed possible with your camera/flash combo. And higher sync speeds effectively mean greater effective flash range. We'll give the readers a little time to experiment, then crowdsource the info. Last but not least, remember "Newton," the mouse who invaded Jim Clark's house last winter? He was thusly named because he yielded to the laws of Newtonian physics in the process of being spectacularly captured. Well, Newton is once again free, looking for another house to invade for next winter. Freeing him wasn't easy - Newton knew a good gig when he saw it. But he was finally coaxed out of his comfy "jail" and headed immediately for the trees. 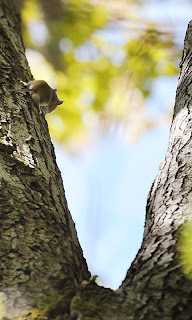 Yep, he went for the high ground, running right up the side of a tree fast enough to impress Jim, who just might have to engineer Mousetrap v2.0 next winter.